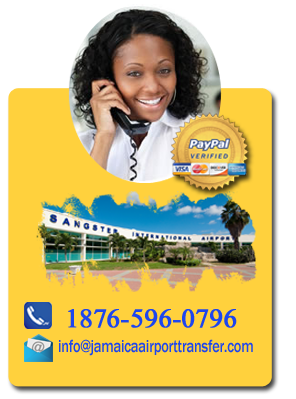 Jamaica Airport Transportation, specializing in airport transfers from Montego Bay Airport MBJ. We provides you with a chauffeur driven car to and from the airport in Montego Bay. We have a range of vehicle size to choose from to suit your specific needs: cars, minivans, minibuses and coasters. Whether travelling on business or pleasure we trust that we will be able to provide the right service for you, taking you to your destination in comfort and style .